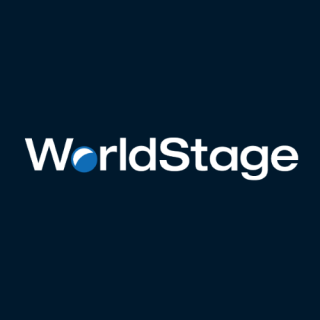 WorldStage expanded its inventory of LED video solutions with the acquisition of customized ROE CB5 LED panels and ROE Strip LEDs to give customers new creative options. Thanks to strong customer interest, these have already been successfully deployed as main screens for general sessions and VIP breakout rooms as well as creative accents to innovative scenic designs. ROE’s CB5 LED tiles are ultra-lightweight in a larger form factor measuring four feet tall by two feet wide with a pixel count nearly three times larger than previous generation technology. Driven by advanced processing that delivers exceptional imagery, it is ideal for both indoor and outdoor applications for displaying detailed, high contrast content. WorldStage worked closely with ROE to customize its CB5 screens with an upgraded LED chip to increase the contrast ratio of the tiles. The company also worked with ROE to develop customized frames. In a scenic application, a new proprietary frame allows the CB5 tile to make right-angle corners with content extending seamlessly to every edge. For large walls, these larger tiles and carbon fiber frames use state of the art materials that reduce overall weight by 33 percent while also installing much faster. The other addition to WorldStage’s LED inventory are the slim, lightweight ROE LED Strips that allow multiple applications for creative stage design. WorldStage has the 1.2, .6 and .3-meter LED Strip products in its national inventory.